These pictures are from a few weeks back when we had about five or six inches of snow on our property. The first, of Shadow running, makes me laugh. 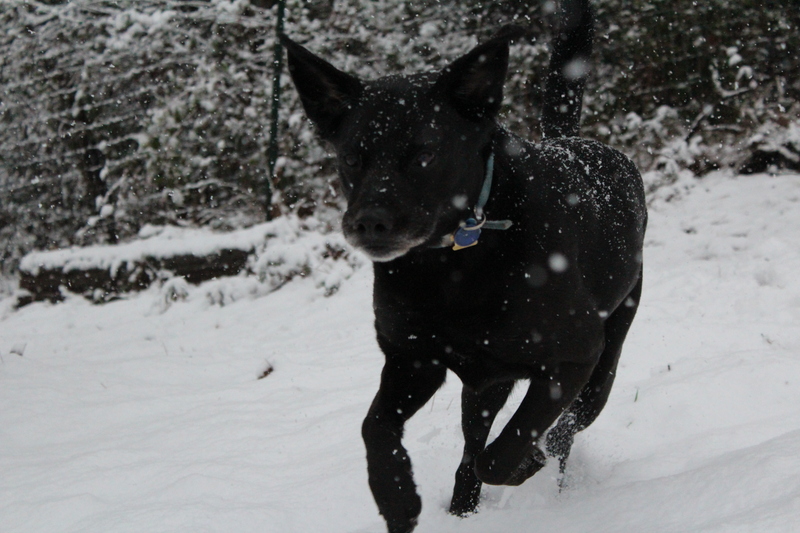 I somehow caught him in full flight with his ears flopping around. I love it. 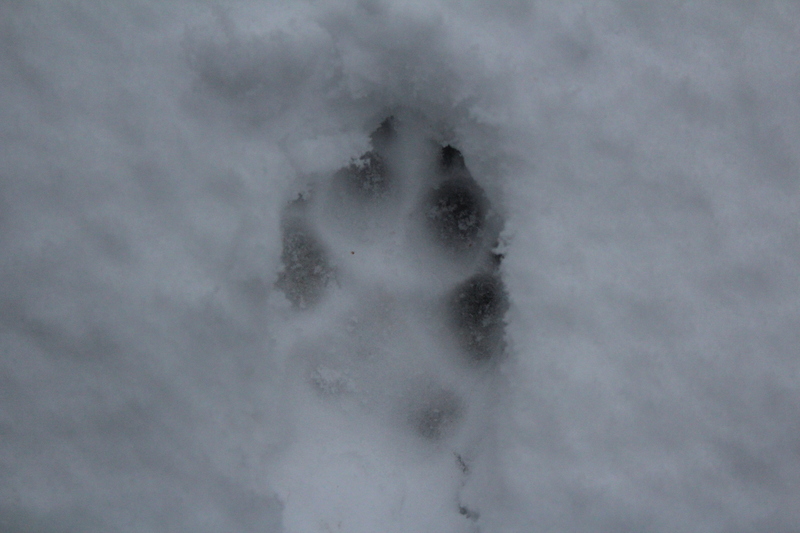 The second is a picture of his paw print in the snow. He’s such a great dog and it’s always so much fun to see him running around like that!